Designed by Wong Tung, Changsha IFS is located on 74,000 square meter site in the vibrant city center of Changsha, this 725,000 sq.m. mixed-use development is well positioned to be the new landmark of the core CBD. It features two icon towers at 452m and 315 in height, a 6-storey retail podium and 4 below grade levels for retail and parking. 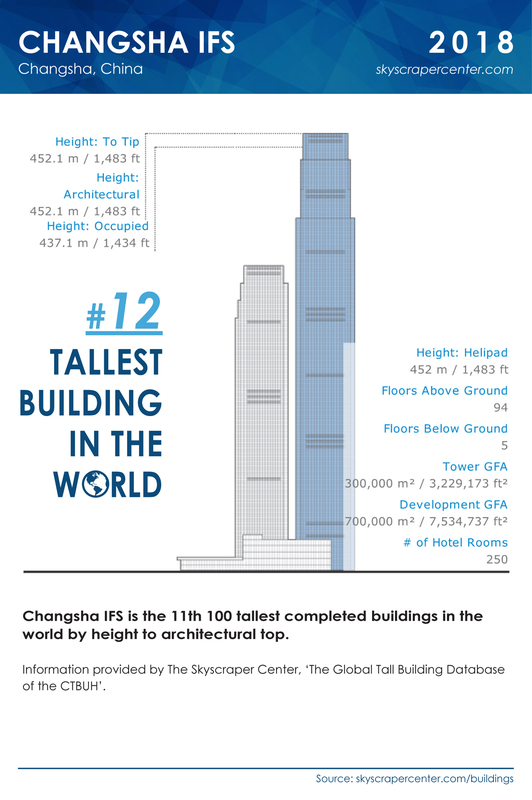 Changsha IFS is the 12th 100 tallest completed buildings in the world by height to architectural top, congratulations.